Symmetry is a puzzle game with an educational slant. Two cards with seemingly different combinations of black and white squares are in reality variations of the same basic pattern. Players have to find out what operations are needed to transform one card into the other: mirroring, rotating, inverting colors, or changing the position of the pattern. Visually, the game has a strictly functional design in black, white and gray. Symmetry ressembles an IQ test, but with the important difference that it does not measure intelligence in individuals. At the contrary players are invited to observe and learn from each other, and to collaborate in solving logical problems. if a potential player can observe that other children enjoy the game, and that they manage to solve the puzzles, this adds both to the learning and to the motivation to try the game. However, experiences from games and puzzles do not feed into children͛s mathematical skills until the connection is made explicit. The model we use is to start with the game, and follow up with classroom activities drawing the connections to mathematical knowledge, and providing players with mathematical concepts for talking about the game. Would you like to try out Symmetry in the classroom? The web interface works on most computers, but works best with a touchscreen. 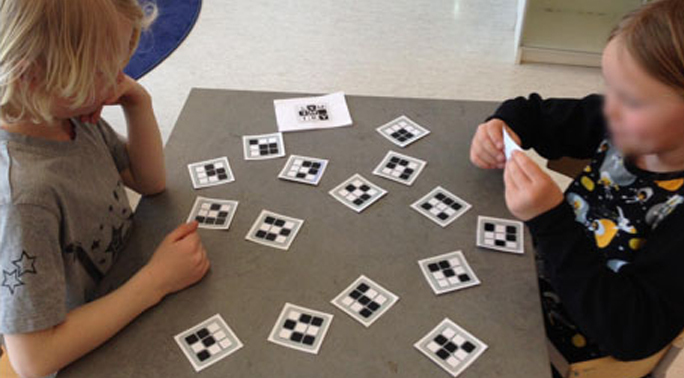 Create card pairs and challenge your classmates. Please write us a few lines about your experiences of using the game in class! The Symmetry concept was developed by Åsa Harvard Maare as part of her dissertation Designing for Peer Learning (link 1) and originally realized as a card game. The dissertation work was done within the multidisciplinary research environment Thinking in Time: Cognition, Communication and Learning. 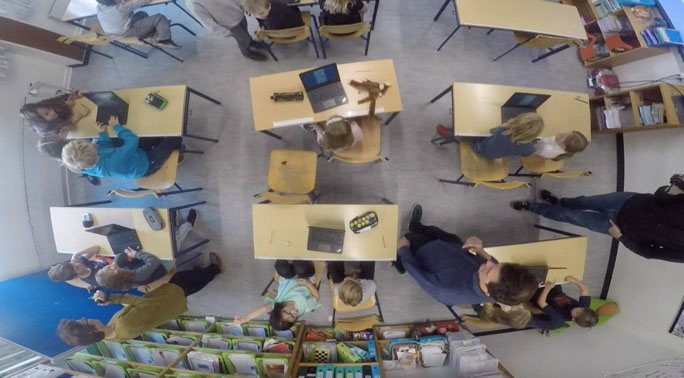 The aim of the project has been to develop a digital version of the Symmetry game intended for classroom use, and to test it in a primary school. In March 2017, DFI/Spilordningen granted the project financing with 96.000 DKK. After the grant from DFI, Malmö University has decided to support the project with additional work hours for ÅHM and for Nina Taslaman who has provided mathematical and programming consultancy. 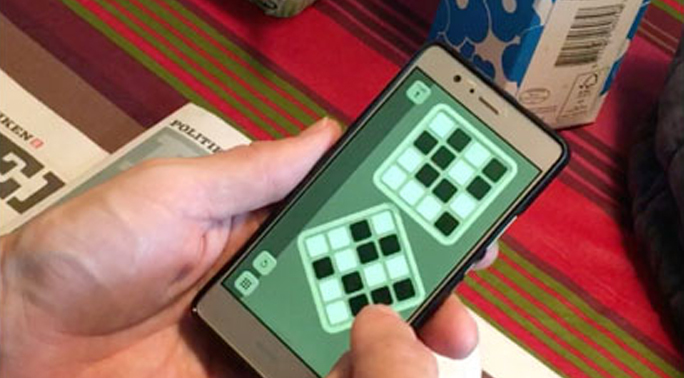 During the project, we have developed a digital version of the game for Android. The game can also be played using a web browser. 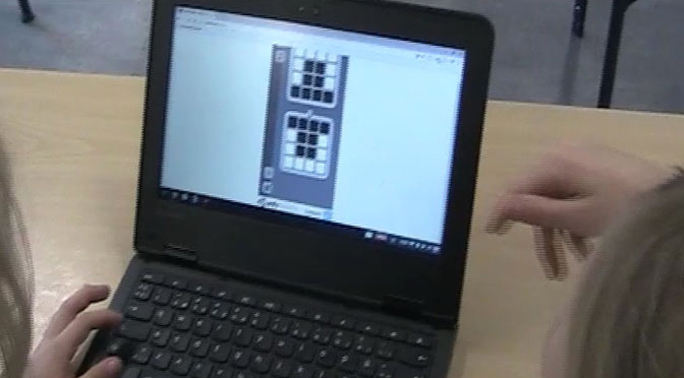 The design has focused on (1) creating a smooth and intuitive interface using touchscreen functions, finding an appropriate level of difficulty, and (2) adapting the game to the classroom context (supporting observational learning and peer interaction, adapting to available technologies in the classroom, designing supporting pedagogical material in order to provide mathematical concepts and bridge to learners’ mathematical knowledge. The game and supporting pedagogical material has been tested at two occasions with a class of 3rdgrade children and their teachers.